Studies have shown that older adults with even a moderate fitness level have a longer life expectancy than physically inactive seniors. Moderate levels of physical activity can help reduce the risk of heart attack and stroke, lower cholesterol levels and blood pressure, improve balance and flexibility, and reduce back pain, among many other benefits. Seniors who remain physically active experience less disability and a higher quality of life than those who lead a sedentary lifestyle. In fact, the older you are, the more you need to exercise regularly. 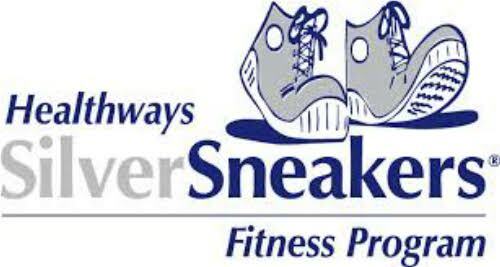 SilverSneakers is a safe, fun program that provides a wide variety of options for this kind of beneficial exercise, especially designed for seniors. More than 40 Medicare plans offer this benefit to seniors across the nation, with over 11,000 gyms, fitness centers, YMCAs and Curves facilities participating. If you belong to SilverSneakers, you have access to basic fitness center memberships at any participating location, as well as special fitness classes, activities, and health and nutrition education designed for older adults. Whether your goals are to lose weight, increase strength and stamina, improve flexibility and range of motion, or just to remain physically and socially active, a SilverSneakers membership can help you reach those goals. SilverSneakers locations are chosen for their safety, accessibility, amenities, and overall welcoming environment. 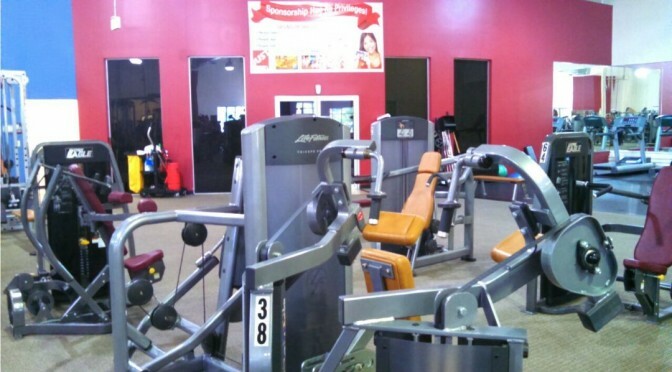 They have a variety of fitness equipment available, varying by location. Members may have access to weight machines, free weights, treadmills and other cardio machines, pools, saunas, and even whirlpools. To become a certified SilverSneakers participating location, each gym has to go through an extensive process to show it is capable of providing the level of access, guidance and support that older adults need to exercise safely and effectively. Each participating location also has a trained Program Advisor who is usually available Monday through Friday to help you make the most of your SilverSneakers membership. As well as providing equipment for independent exercise, SilverSneakers locations provide classes that can be components of your membership. These fitness classes are specifically designed for older adults, and taught by certified instructors who are specially trained in leading fitness programs for aging adults. All SilverSneakers class instructors undergo an in-person training and evaluation process. They are all CPR-certified, and are trained in the procedures to follow in case of emergency. SilverSneakers classes range from 45 minutes to an hour in length, vary in intensity, and offer multiple formats to fit your personal needs and interests. You can choose from Muscular Strength and Range of Movement, Cardio Circuit, Yoga Stretch, and Silver Splash (available at locations with pools). Depending on which classes you choose to participate in, you can increase your muscular strength, endurance, range of movement, flexibility, balance, agility and coordination. Social interaction can be almost as beneficial to the health and well-being of older adults as is exercise. SilverSneakers programs offer ongoing activities like potlucks, raffles, dances, and speaker events, providing a good variety of options to add to your social calendar. Life is too short to waste it feeling unwell, lethargic, or afraid to do things because you feel weak or brittle or unsure of your balance. Get out there and get active. You will be amazed at what you can do in and out of the gym after taking advantage of the SilverSneakers program. Now here comes the good news: many Medicare insurance plans cover the full cost of the SilverSneakers program! That means you get gym membership for free. My wife has a Medicare Supplemental program with United Health Care through AARP and they sent her a SilverSneakers card which she took to our local Just Fitness Gym near our home and she has the same membership for free that I pay for. Some Medicare Advantage insurance plans also offer the SilverSneakers program too. Please check with your medicare insurance company to see if they offer Silver Sneakers. When you enroll in the SilverSneakers program, you will be provided with a list of participating locations near you, explaining the amenities at each facility. You can also take your membership with you when you travel, to use at any SilverSneakers participating fitness center across the country. You can get all the details of the SilverSneakers program on the website, www.silversneakers.com. On that site, you can find participating gyms in your area by simply typing in your zip code. You can also learn more about SilverSneakers on the program’s FB page, https://www.facebook.com/silversneakers. I have been using my silver sneakers membership at a local YMCA in Richmond, VA for three years, increasing my workouts as I progress. Last week I was told by an employee of the Y that Silver Sneakers was no longer eligible to use their facility. I was told that my AARP insurance provider was not paying them enough money so they dropped “us”. So much for their Christian babbling. This is cool! I didn’t know such a program existed! It looks fun and promising to make me join them, I hope the fee will not be too expensive. This looks like a great program. I’d like to join. What’s the entrance fee? There is no fee but you need to be 65 and on Medicare. It is only included in some of the medicare supplement plans and also maybe an option for a small fee under medicare advantage plans too. Bottom line is if you are on Medicare, then ask your insurance company. Man I wish there were more deals like this in Australia. It makes perfect sense to that a fitter person is far less likely to have health problems, so it’s a win win situation. i wish if we have like this deals in uk , thanks for sharing man! Just done a Google search on this silver sneaker program. Looks great. Has any of you guys actually tried this yet? It’s great to see that medicare is offering Silver Sneakers as part as the medicare program. Look very effective training program, i’ll try to add some to my program, thanks for sharing! This is a very effective training program. I have a coworker that looked into this, and told me all about it! Thanks for sharing! This is really interesting, as others have said there isnt anything like this in the UK you guys are so lucky. Medicare does not offer a gym membership plan. It is offered by the medadvantage plan by some of the insurers such as Humana, the AARP sponsored United Healthcare. You have to call your insurance company to see if they participate in Silver Sneakers. Didn’t realize that seniors are encouraged to work out in the gym. But agree that physical exercise is important. Good to know that there are tailored programs for seniors. Here in Asia, most senoirs keep active by Taichi and Brisk walking. Regular exercise is a must+ healthy food. Still many succumb to many health issues due to the aging process and chemical GMO food. Silver Sneakers program looks quite good. Agree to the points that exercise, yoga and a healthy diet are key to success! This is a great program you have, unfortunately we don’t have a similar system in Toronto, Ontario, Canada . In fact as a Certified personal trainer in Toronto, Ontario, Canada, I often train elderly clients who realize the benefits of exercise but are forced to pay out of pocket. I’ve always said there should be incentives for people to get fit. If you lead an unhealthy lifestyle health insurance should cost more, if you exercise regularly you should pay less for health insurance and even get discounts on gym memberships, organic food markets, etc. Not quite there yet but surely this program is a must do. Thanks for the information and insights. Nice content… My father who is old in age had a longer life expectancy than friends his age just because he stayed active after he retired from his job. His doctor refereed him to a fitness center where he enjoys the fitness equipment available to where can exercise efficiently.